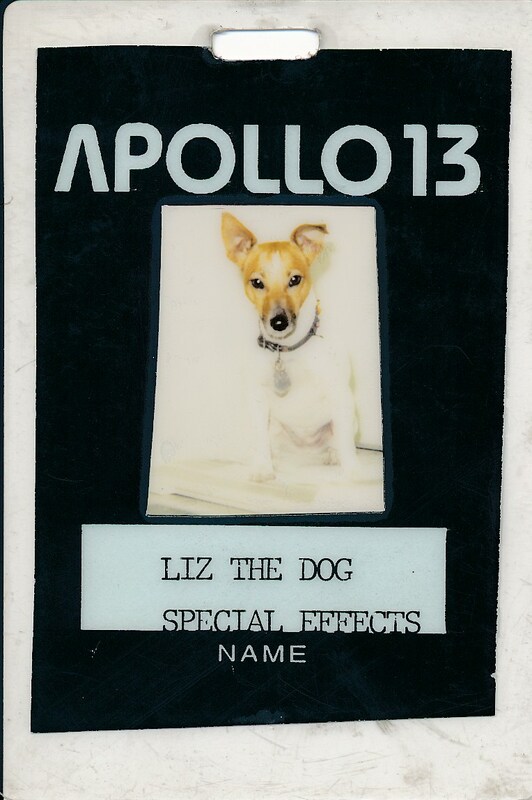 We have always had a dog as part of the crew. Currently, Betsy holds that job. 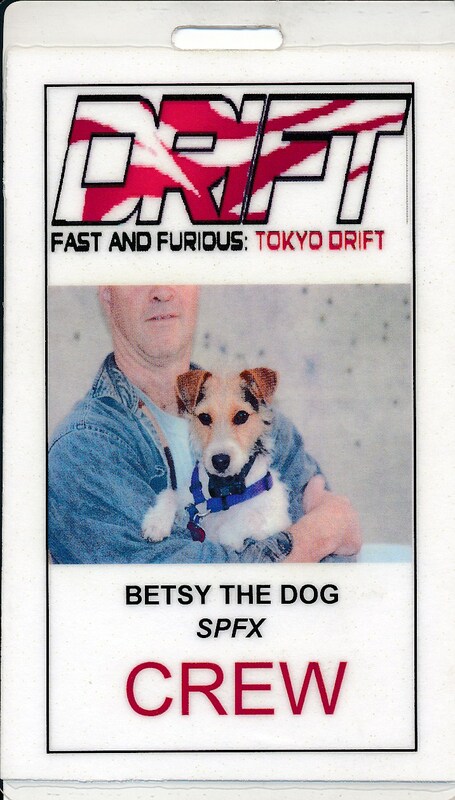 She joined the crew during the filming of 'Herbie Fully Loaded'. 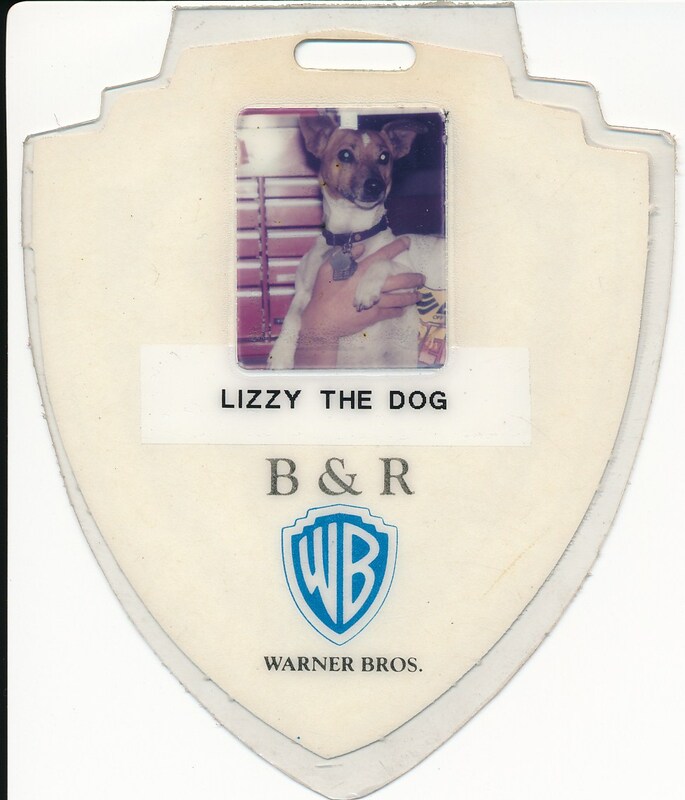 Lizzy worked the whole production of "Natural Born Killers". This was a traveling show; Winslow Arizona, Gallup New Mexico, Gary Indiana, Chicago Illinois. 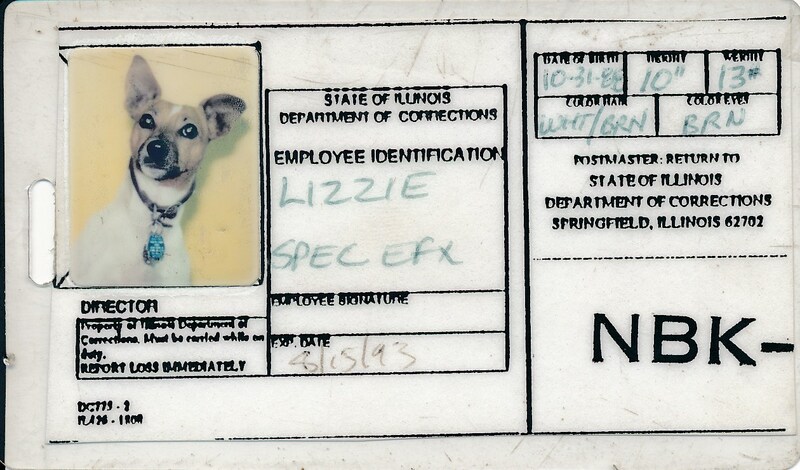 This was her Stateville Prison ID; we spent 6 weeks in Stateville filming prison and riot sequences. Liz hung out with the teamsters in the base camp outside the prison. While we were in Chicago, most of the crew were staying in the Omni Ambassador Hotel. About the 3rd week, the Omni asked for some rooms back. The Production manager, LeeAnne Stonebreaker, asked for volunteers to move. The EFX crew volunteered, but only if Lizzy was included. LeeAnne made a deal with the Guest Quarters Suites that required that they allow Lizzy in a usually no pets Hotel. The deal was done and we moved into a lot better hotel. 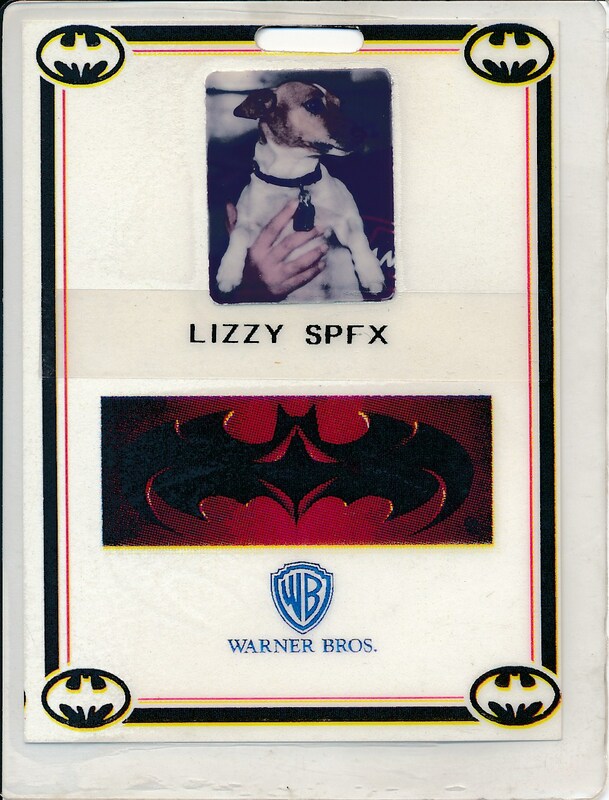 Liz wanted to bite PMS, the Line Producer, but we kept her away from him, as it would have left a bad taste in her mouth. 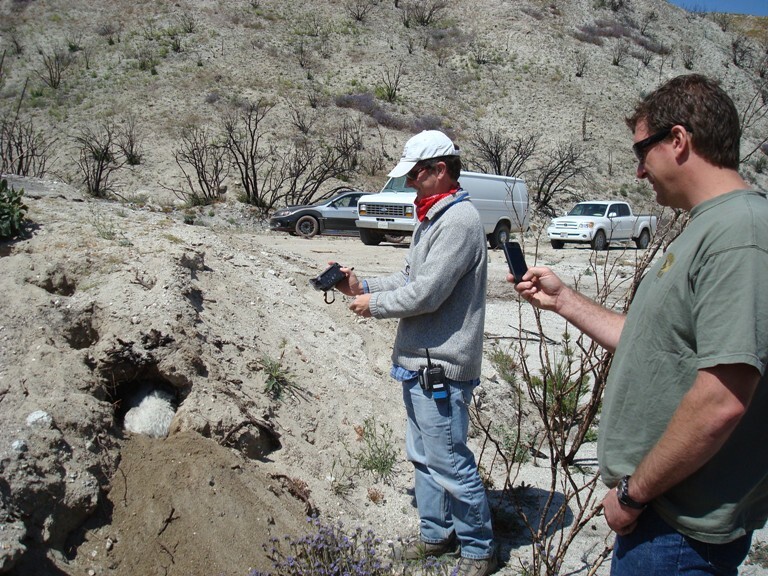 Betsy went on all of the scoutting with us, and dug holes in the desert locations looking for rodents. Jeff Pepiot is holding her in this picture. 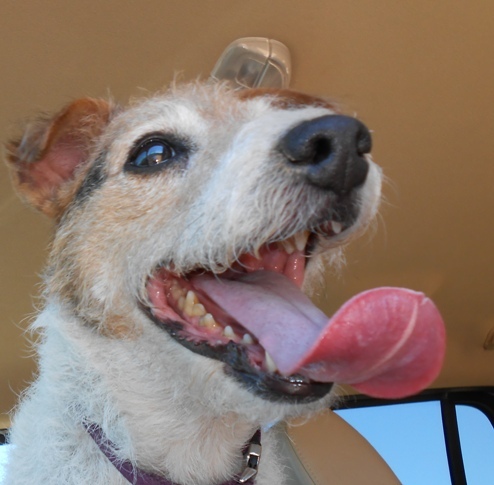 Betsy went on all of the scouts to the Parker Arizona locations, but did not work the location, as it was too hot and too dangerous for a 20 lb terrier. 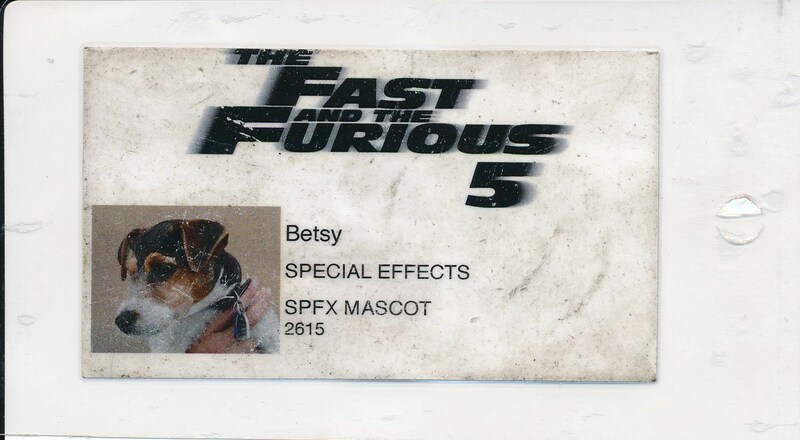 She stayed at the shop with LuLu and Ken Bosse and helped build jump ramps and camera cars. 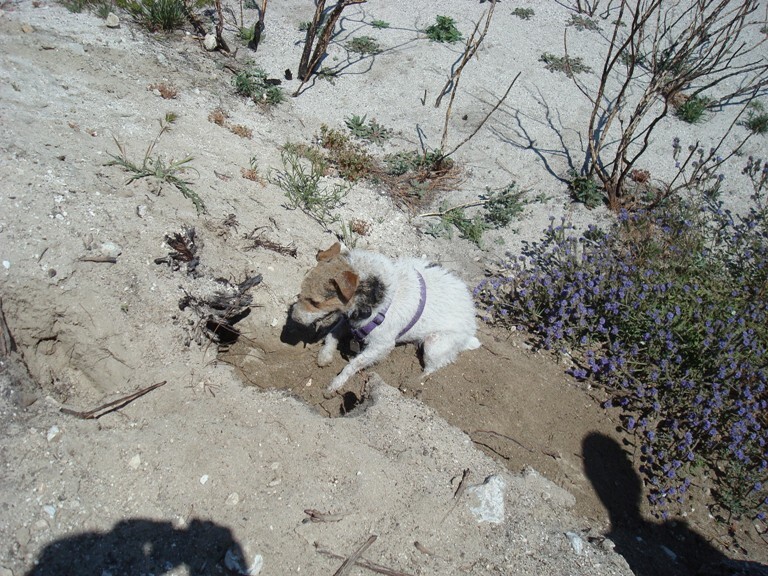 Every Location, Betsy would find somewhere to dig. This was at Polsa Rosa Ranch. 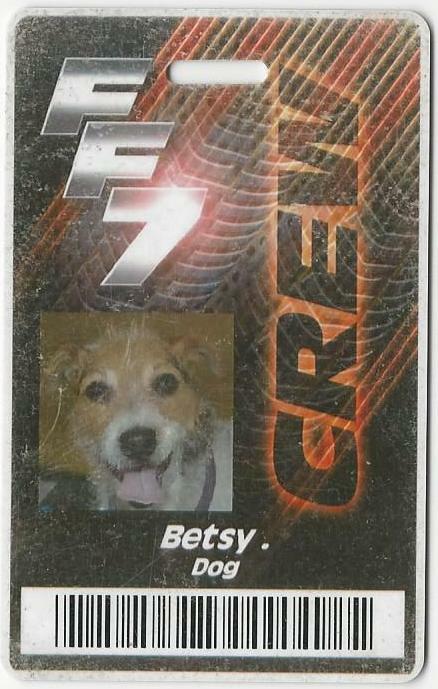 Betsy did work on FF7, but only as a consultant. 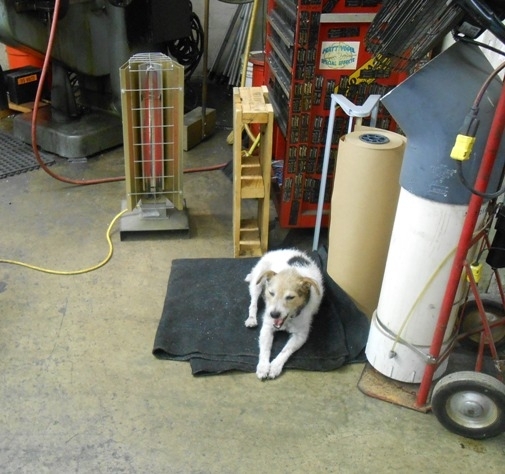 Betsy lounges by her personal heater, on a blanket of fireproof Carbon Fiber cloth. 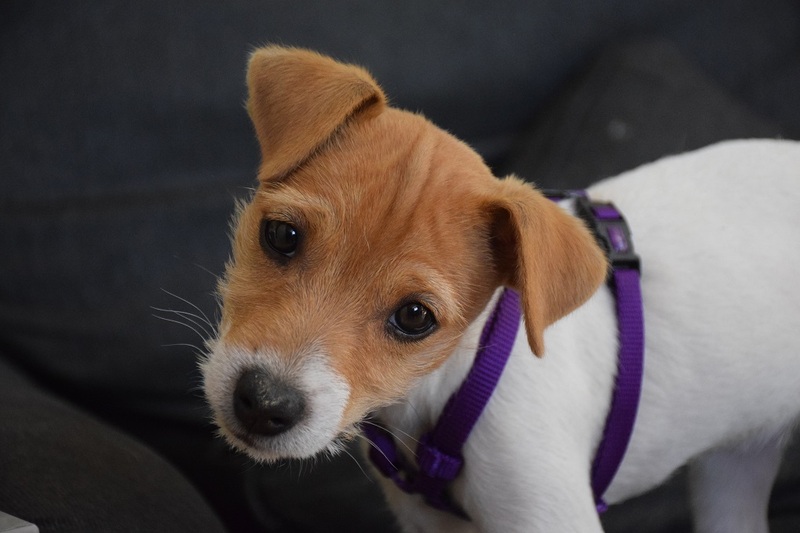 After Betsy died of Kidney failure in January 2017 at the age of 12, we got a Jack Russel puppy in June. Her Name is Xena. The Sweetest dog. 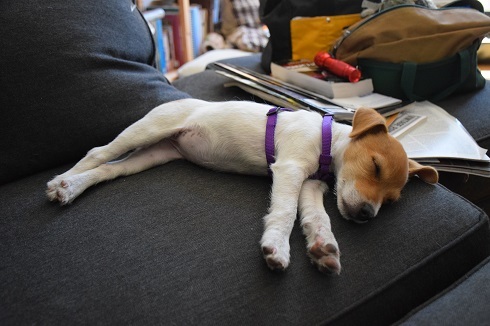 It"s a rough life for the Effects Dog. 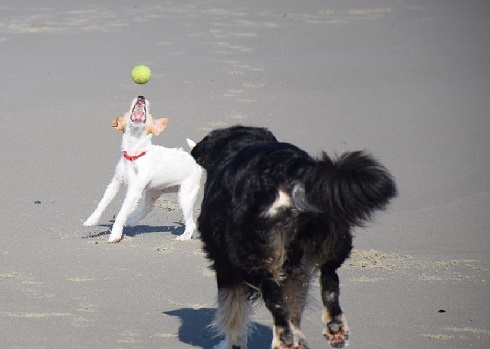 Xena (8 months old) plays with her dogfriend Beau on the beach in Maine.